In this guest posting, Jiang Xueqin, director of Peking University High School’s International Division, looks at how pressure from students and parents is driving reform in Chinese education. 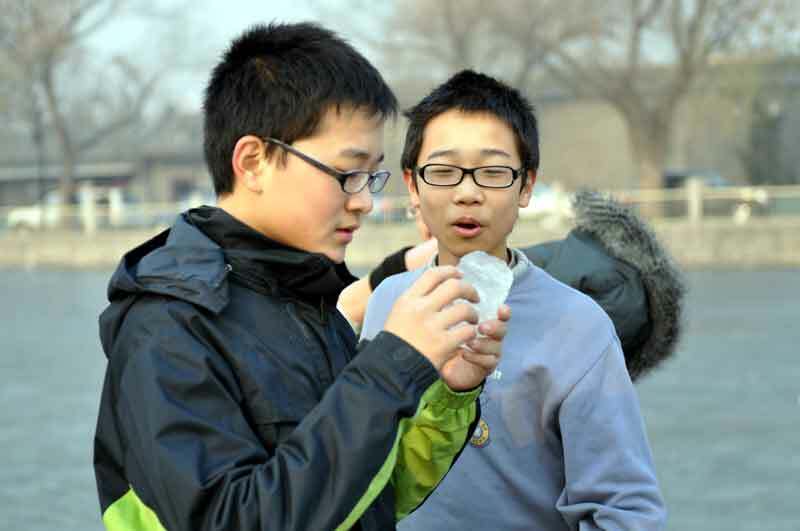 The year 2011 promises to be an exciting one for education reform in China. Last July, the government unveiled its 10-year education development plan, planning more spending and advocating greater experimentation. Education expenditure usually hovers around 3% of Gross Domestic Product, but Beijing aims to now spend 4%. That’s lower than the average 6.2% for developed nations, but it’s still a significant increase. Beijing also promises more local autonomy, which should encourage more competition and diversity. Concrete action is already being taken. Last November, just after the national education plan was promulgated, I attended two high-level government meetings. In the first, Beijing’s top high schools were told to support and encourage students who wanted to study abroad. I saw that as a sign that China’s leaders recognized that Chinese universities were not producing the managerial and creative talent needed for a 21st century knowledge economy, and so decided that the best short-term solution was to send China’s brightest to the West’s best universities. As another sign of how serious Beijing is about education reform, Central China TV’s 7 o’clock news programme, Beijing’s quasi-official mouthpiece, reported on our own high school’s reforms – led by Principal Wang Zheng – to promote freedom and choice, diversity and individuality: No longer do 50 students huddle together diffidently and indifferently, as their teacher lectures to them on multiple-choice test-taking strategies and “correct thinking.” Today, 20 students discuss and debate in groups, as a teacher hovers about, offering advice and encouragement. When the bell rings, students run to science lab or to band practice or to a well-lit study room to check their e-mail. Still, there are reasons to wonder about how much is really changing on the ground. For one thing, China has been exploring education reform since the early 1990s, and if anything the test-oriented system has only grown stronger and sturdier. For another, the national college entrance examination – or gaokao – is still widely seen as a hardworking farmboy’s best chance at a better life, even though many believe it stifles students’ creativity, social skills and desire to learn. Whenever Peking University even considers changing its admissions policies (such as adding a high school principal’s recommendation or an interview component to the gaokao score) there’s a national uproar. Finally and most important, I question how much any high-level, top-down reform agenda can take root and effect change locally. In China, there’s a popular saying – “for each Beijing policy, the locals have countermeasures” – which means that despite Beijing’s exhaustive exhortations, Chinese have always done what they wanted. For now, for better or worse, cramming for one test as though it were a matter of life and death is what Chinese teachers, parents, and students want. Nevertheless, I’m optimistic about the possibility of real reform, and it’s because in China there’s a new force that promises to bring experimentation and diversity, competition and accountability: the free market. Prior to Beijing, I was in the free-wheeling southern boomtown of Shenzhen, where parents enrolled their children in the Shenzhen Middle School’s study-abroad programme. These parents were entrepreneurs frustrated with how the products of China’s education system lacked the initiative to work independently, and the social skills to work in a team. They chose our programme because they wanted their child to learn co-operation, creativity, and critical thinking skills, which they saw as hard currency in today’s global economy. Today, there are now more Chinese students studying in America than from any other nation, and most of these students come from middle-class families who became so because of the market. It’s also the free market and the need for that extra competitive advantage that’s driving so many Chinese to study for a degree overseas. For most of Chinese history, students only aspired to test into the mandarinate, but today students are seeing that they can turn their passion into their profession. The free market rewards successful musicians, athletes, and entrepreneurs more so than bureaucrats. That’s why I think in the near future elite music, sports, and trade schools will prove to be popular choices for China’s middle-class students. The free market is questioning the value of a traditional Chinese education, and opening new vistas and possibilities for those who want out. I believe strongly that the gaokao system should be protected because it’s a vehicle for social mobility; but I also believe that Chinese schools need competition and diversity in order to provide a better education for all. Thanks to China’s economic development and the free market, real, lasting and concrete education reform is now within sight. Mr. Jiang, deputy principal of Peking University High School, and director of its International Division contributed to the Insights blog in March and also blogs regularly about education at The Diplomat.